Experience High quality genuine free range hunting. New Zealand Safaris specialises in free range private land Safaris on Red Stag, Bull Tahr, Fallow Buck and Alpine Chamois or combine this with our Estate Hunts for exceptional trophies and the adventure of a lifetime. Based just south of Christchurch International Airport in the South Island our hunts can be personally tailored to suit individual hunters or small groups and partners. You have the option of our private hunting Lodges to comfortable backcountry cabins, a variety of exclusive hunting properties, and professional guides. This gives you, the hunter, the best opportunity of a world class trophy. Hunt in natural country that these animals call home, amongst the mountains and river valleys since their liberation in the early 1900’s. 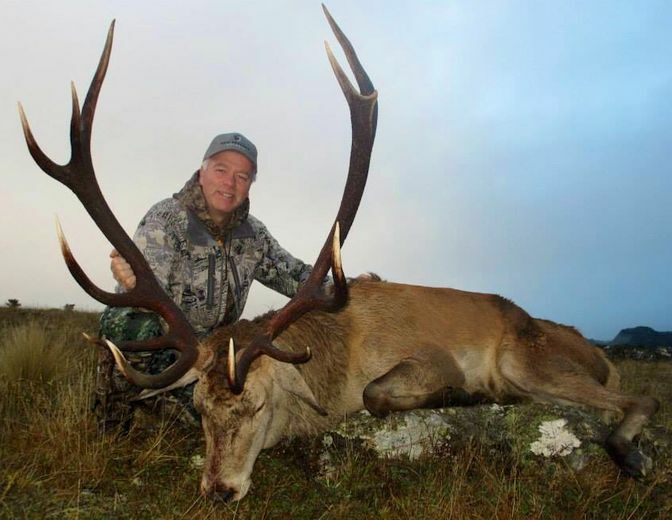 New Zealand Safaris also has our own 3500 Hectares of Estate hunting for those that want to go after those truly huge Red Stag’s and Fallow Buck, as well as ample bird and varmint shooting and Private leases in the North Island for the 3 other deer Species. You can combine this with world Famous Trout and Salmon fishing on our door step, or on Wild free range Buffalo in Australia. We can also help in assisting you with your flights, firearm and for non-hunters local tourist attractions, shopping and entertainment for the complete personalised package. Genuine Hunting, Outfitter and Guides. When we say we specialise in free range hunting, that’s what we actually do. And all on private exclusive land with high quality ‘wild’ animals. Genuine Outfitter and guides, we live and work on the land. This is what we love to do and pride ourselves on what we have. We let our actions and experience do the talking for us. 70% repeat clients/ friends. One hunting party at a time in the lodge, or hunting on a property. This is not all about numbers, we’re focused on the quality of the hunting experience with us. New Zealand Safaris has long-term management leases in partnership with the ranch owners,these are huge places that are home to animals in their natural habitat. They are not all restricted by high fences. 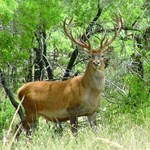 Hunters are able to hunt most of our free-range animals from our hunting lodges, and any game estate animals. We do not require a helicopter for Tahr and Chamois due to the size of our areas and well formed roads that can cater to all levels of fitness saving thousands. We have our own 3500 Hectare Estate hunting for those that wish to go after huge SCI scored Red Stag’s, Fallow Buck’s, and Rams with a luxury mountain cabin onto. Professional guides – we are an active member of the New Zealand Professional Guides Assoc., SCI, Wild Sheep Foundation. We welcome non-hunters and families and can organise activities to look after everyone. New Zealand Safaris personally Outfit’s on all New Zealand game animals and Bird species, including the North Island. And free range Water Buffalo in Australia from June–October. New Zealand Safaris has 3 options of accommodation for hunters and non-hunters. Our two hunting Lodges Rivendell and Allseasons are both full service accommodation including amazing home cooked meals and beverages, ensuites, wifi internet, TV, laundry and close to town with plenty of shopping, cafes, and local tourism hot spots. Both lodges are within 15–45mins of all our main game animals in the South Island and during your stay you will enjoy fresh locally cooked meals including wild game complimented by your choice of Beer and wine. For those of you who wish to camp right in the heart of your hunting area we have warm and comfortable cabins to relax and night by the fire and take it all in. 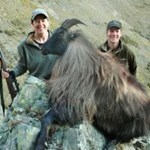 Our guarantee to you is that we have access to the largest variety of free range, private land hunting in New Zealand. 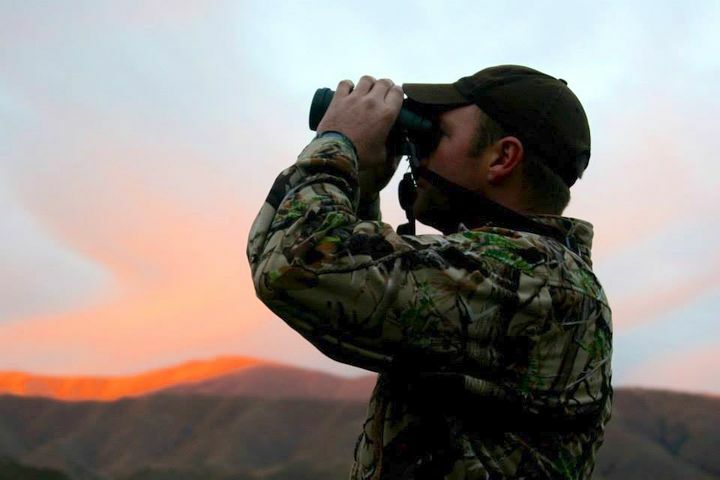 With genuine professional Guides that will show you some of the finest hunting and scenery the world has to offer. From the Quality of animals, properties, scenery, and accommodation. 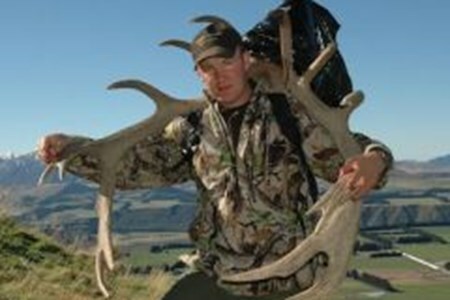 If you have always wanted to really experience unrestricted hunting in New Zealand, in the true spirit of the outdoors. Then we invite you to come on an unforgettable journey into the heart of the South Island’s picturesque paradise with us, one hunt at a time. Known as the ‘King of the Mountain’ Bull Tahr posses a long winter cape like no other Alpine animals. Tahr hunting is similar to that of many sheep hunts around the world in that there ... moreis a lot of glassing from distance to first locate a mature Bull, but then ascertain his trophy potential. In the earlier months the Bulls will be down low seeking reprieve from the sun as they grow out there manes. We hunt exclusive on large high country Stations (ranches) that have excellent mountain roads and high numbers of Tahr which means we can cater all levels of hunters. Because of this we do not hunt on government land or helihunt, in 2015 we had 100% success on our 32 Tahr hunts with 6 Bulls pushing 14 inches. If you truly value sheep hunting and the mountains and scenery that go hand in hand with this big game hunt, then you will love hunting with us. The rut starts around late May–end of July. New Zealand Safaris hunting properties are all within 15–45 mins of both our lodges with the option to stay in one of our cabins which puts you right in the heart of the hunting. Additional animals and days maybe added to this hunt, non hunters are welcome and we can add in some sight seeing during the hunt so you can take in this beautiful part of the world. 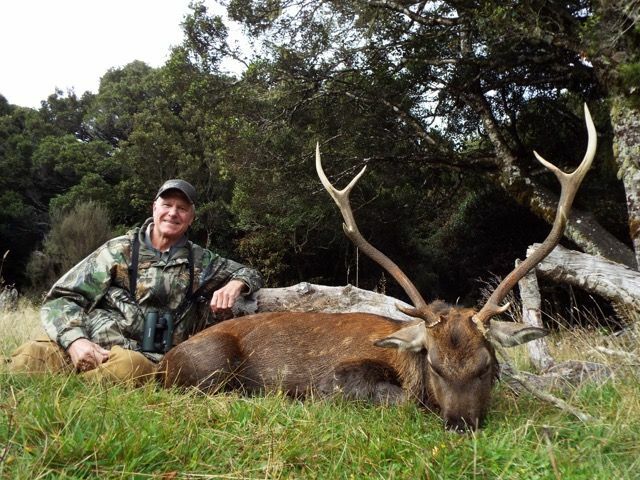 New Zealand Safaris specialises in professionally guided free range hunting, based out Fairlie in the central South Island our free range hunting is conducted on some of New Zealand’s ... moremost iconic high country cattle and sheep ranches. These properties vary in size and vegetation from 3000 acres of rolling hills with native timbered valleys, to extensive 60,000 acre properties that have steep mountains, river bed valleys and patches of native trees and bush. 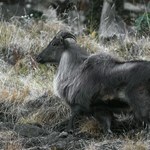 Some of our properties hold other wild free range species such as Bull Tahr, Alpine Chamois and Fallow Bucks. 2015 saw 100% success on our Red Stag hunts with the largest being a 8x8. The Red Stags on these properties are genuine wild deer with antler formations of 5x5–8x8 and at times bigger. The ruts starts around late March–End of April. 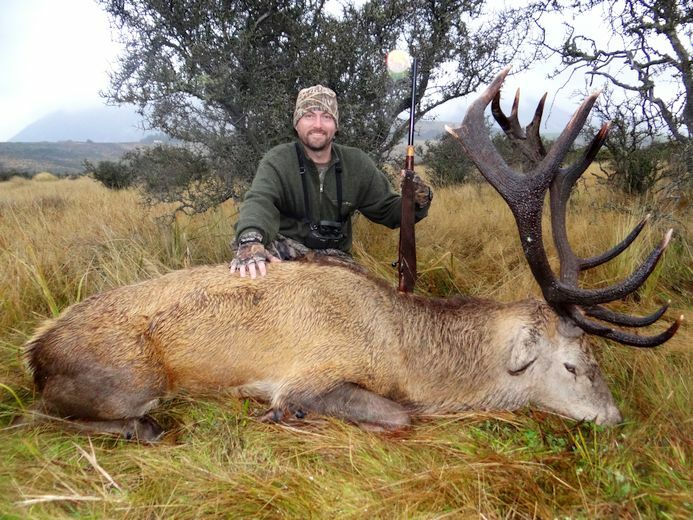 This hunt is for those who want to experience a true wild deer hunt in New Zealand with plentiful game numbers, high quality trophies, and a desire to take in what hunting is really all about. New Zealand Safaris hunting properties are all within 15-45 mins of both our lodges with the option to stay in one of our cabins which puts you right in the heart of the hunting. Born and bred in the region, Jim is a full time professional Outfitter/guide. Having regularly attended hunting shows all over the world since 2005, Jim has great local knowledge, ... morean easy manner with a wide experience of hunting and guiding in New Zealand and with buffalo in Australia each year as well as in New Caledonia, Canada, and the U.S. With a proud passion for the outdoors, Jim has the experience and knowledge to guide hunters of all ages and abilities to that exceptional trophy of a lifetime. 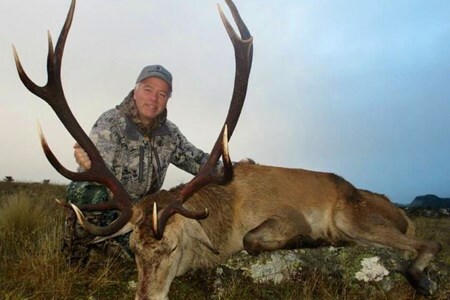 Jim is a member of New Zealand Professional Hunting Guides association, S.C.I., Master Measurer, Wild Sheep Foundation and the Methven Rodeo Club. Ben's knowledge of the game animals and trophies in the South Island is second to none. He has spent his whole life in the mountains of New Zealand and from a young age wanted to share ... morehis amazing experiences with others. Ben is an exceptionally well known local hunting guide and is dedicated to remain one of the best free range hunting guides in New Zealand. John is the youngest member of the guiding team but is certainly not lacking in experience. After starting with New Zealand Safaris in 2012 John has also spent two seasons guiding ... morein parts of the Yukon and Alaska, he has also successfully hunted in South Africa. His love for hunting and the outdoors is unrivaled and he has a great connection with his clients. 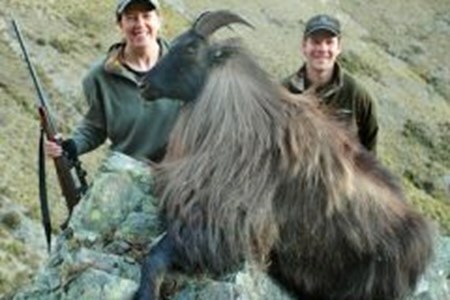 John’s specialty is Free Range hunting and guiding for Bull Tahr. From a farming background John has always had an interest in animals and the outdoors. He is looking forward to meeting many more hunters and help them to successfully hunt the exceptional trophies that New Zealand has to offer.